Often, we get asked what is a cache and how does it work. In this short article, we’ll try to explain this in simple terms and address the most frequently asked questions about it. In computing, the cache is a place to store something temporarily. The purpose of using a cache is so data can be served faster. Let’s give you an example: you open a file from your pCloud Drive. The file is not stored locally – it’s kept in the cloud. It takes some short amount of time for the file to reach your computer from the cloud (most often, that time is just a second or two but can be longer for very large files). You then close the file but remember you forgot to make an edit in it, so you need to open it again. You double-click the file and it opens immediately. This happens because the file is cached on your local machine and doesn’t need to downloaded from the cloud again. In other words, the cache helps your computer remember a certain task rather than learn to perform it every time if needs to perform the same task. Yes (but you already knew that from the example above, didn’t you). Your pCloud Drive desktop app utilizes the cache so it can perform faster and better. The cache is only utilized for uploading and downloading files to and from pCloud Drive – but not when you’re syncing files or folders. No cache is used when you use the web version of pCloud, my.pcloud.com. How big is the pCloud Drive cache? The minimum cache space we recommend for pCloud Drive is 5,120 MB – this is the cache size, at which your app will maintain its optimal performance. If you need, you can change that setting to a lower or larger value from the pCloud Drive settings. Keep in mind that the size of the files you work with is a factor here. If you work with large files, you may even want to increase the cache size but if you operate with small files – say, text documents or smaller photos, you may decrease the value of this setting. Again, we recommend that you don’t go lower than 5,120 MB. How long does a file stay cached? That depends on how actively you use your pCloud Drive app. Cached versions of files are kept until the overall cache size is reached – and when it is, the newer files overwrite the older ones of the cache (please note that this does not impact the actual files in the cloud but just their cached versions!). Where is my cache located? The default cache folder location depends for Windows is %LOCALAPPDATA%\pCloud\Cache\. On MacOS and Linux, the cache is stored in ~/.pcloud/Cache/. You can also change the cache location so it’s stored anywhere on your local hard disk but, we encourage caution with this action. 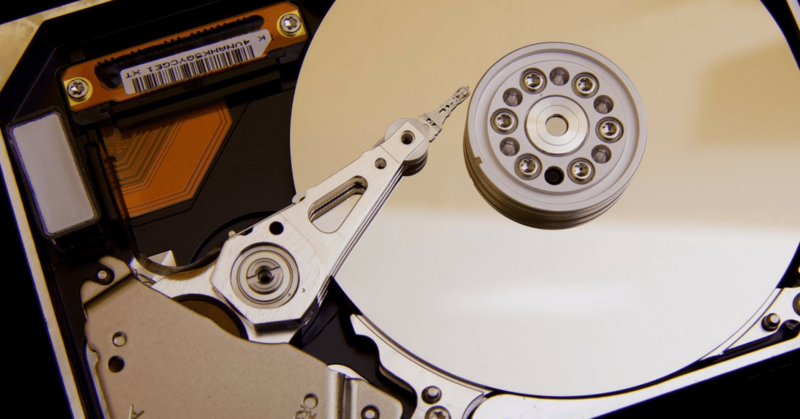 What is the “Minimum Disk Space” setting? 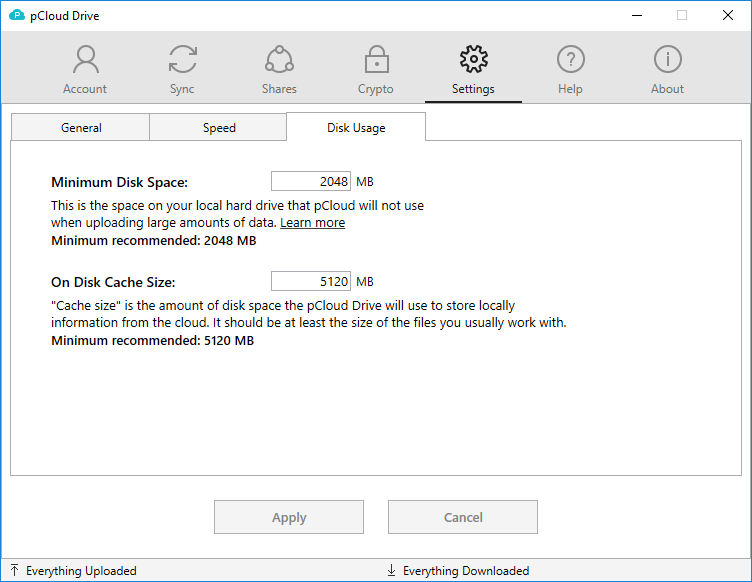 In your pCloud Drive settings, there is a field that specifies a minimum disk space value. This is the amount of hard drive space pCloud Drive will always leave untouched and will not use for cache. Be careful when you toggle this setting – we recommend that you do not set it lower than 2048 MB. The reason for this is that your computer needs some space to perform certain operations and processes, and if it doesn’t have this space, it may malfunction.